Bus trip to Ende Gelände 2016! - GroenFront! On 15 August 1500 people took part in a daring act of civil disobedience to shut down Europe’s biggest source of CO2 emissions. This mass action halted production in the Garzweiler lignite mine in Rhineland, Germany and showed that people are no longer prepared to sit back and watch politicians fail to keep fossil fuels in the ground. On Saturday December 12, over 10.000 people defiantly marched in Paris. Refusing to cave in to the repressive French government, which declared a state of emergency and banned all protests during the 21st UN climate summit. But this was all just the beginning! In spring 2016 we say: Ende Gelände (end of the road) for lignite coal mining in Lusatia. In order to avoid catastrophic climate change, this coal has to remain in the ground. 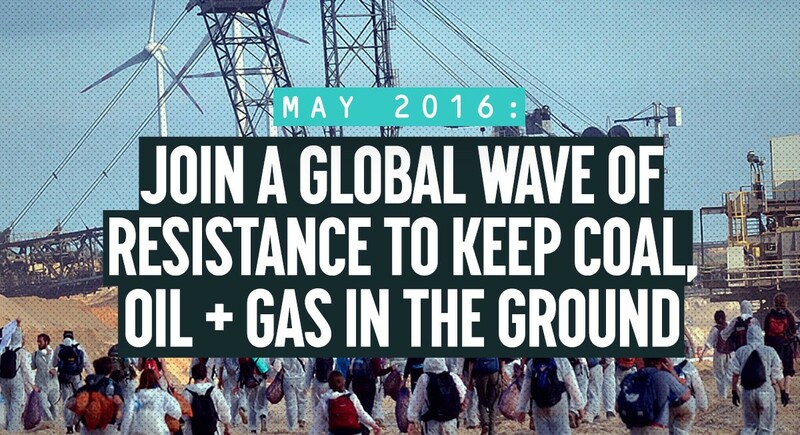 2016 is a crucial year that will determine the future of coal in Lusatia. Vattenfall, one of Germany‘s energy corporations, wants to sell coal mines and coal red power plants for as much money as possible instead of shutting them down. A new investor would reinvest large sums into lignite mining in the area. We are here to stay! We will turn up wherever the climate is turned into capital. Whether it is new mines or dirty power plants – our action is a promise: We will come back, until the last climate destroying machines are shut down for good. We are international! Whether local initiatives, whether the global divestment campaigns or activists from the international climate justice movement– in 2016 we protest together in Lusatia. We are Ende Gelände! 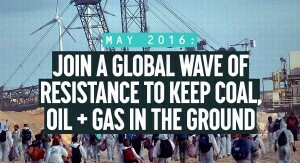 Together with many people, from the 13th to 16th May we will block the diggers with a mass action of civil disobedience. More details about the bus trip will be published here in the coming weeks. However, preliminary sign-up for the bus is possible as of today by sending an email to info@wijstoppensteenkool.nl, stating your name and phone number. Be assured of a place in the bus and register now!